saw045960 SCOTLAND (1952). Belvidere Infectious Diseases Hospital, London Road, Glasgow. An oblique aerial photograph taken facing north-east. This image has been produced from a crop marked negative. Title [SAW045960] Belvidere Infectious Diseases Hospital, London Road, Glasgow. An oblique aerial photograph taken facing north-east. This image has been produced from a crop marked negative. 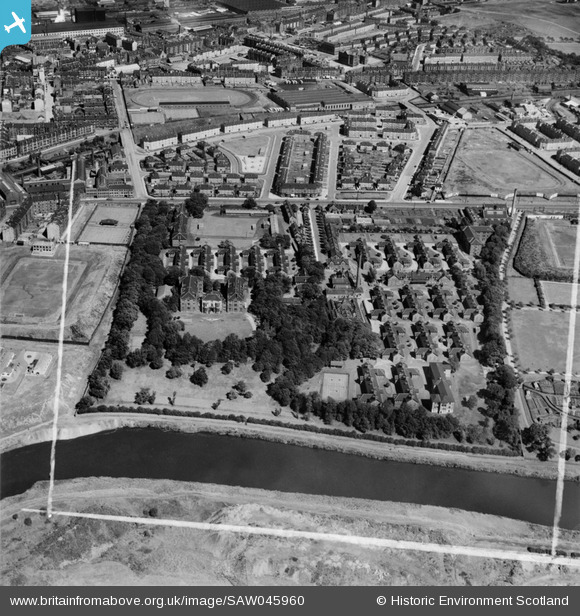 New Barrowfield, Bridgeton Waverley FC, 1923-62 ? Belvedere Hospital! Where I was born!.... after! it was used for the infected and diseased' and had become a Maternity Unit! Funny how terminology changes. In 1952 surely would have been called a railway station ? Parkhead bus garage and tram depot, opened 8/12/1924. Trams ceased 12/3/1960. In 1963 quoted as having a capacity of 180 buses.